Come to D.A.R. State Park this weekend for a fun festival celebrating everyone's favorite local lake monster. Champ Weekend will feature crafts and activities, a bike parade on Saturday, movies about Champ, and a chance to take pictures with the monster himself! D.A.R. State Park is a popular local spot in Addison, Vermont, and features a picnic area, volleyball nets, and a short trail down to Lake Champlain. A lovely stone pavilion overlooks the lake. The full schedule for Champ Weekend is listed below. Gorgeous mountain vistas, an array of unique hiking trails, and a beautiful family-friendly campground, Mt. Ascutney State Park is a playground for nature lovers, history buffs, and outdoor adventurers. 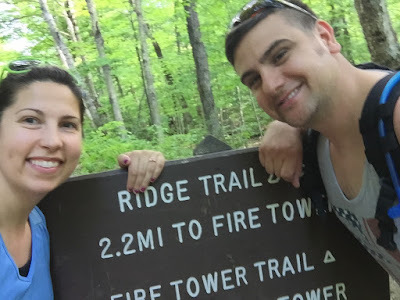 It’s close proximity to Wilgus State Park on the Connecticut River means you you can hike to spectacular vistas in the morning and paddle the meandering river in the afternoon. What more could you ask for? Built between 1935 and 1938, Mt. Ascutney State Park was one of the very first state parks established in the Vermont. The mountain’s first hiking trail was created way before that — in 1825. 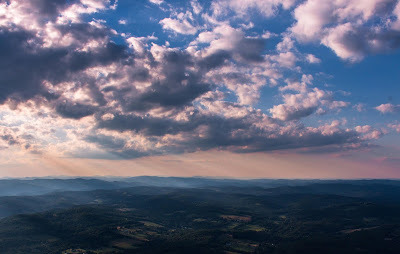 It was the very first organized mountain hiking trail in Vermont, and some accounts suggest it was the first in the country. Today, hikers can scale the mountain from one of four trailheads, or they can explore a series of summit trails after driving up the 3.7-mile toll road (free for campers and other park visitors). 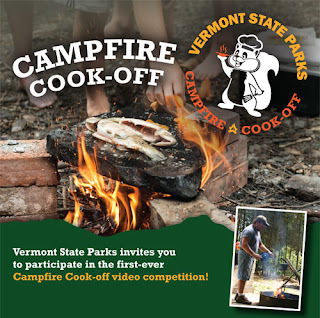 Submit Your Recipe and Video and Win Big!Vermont State Parks invites you to participate in the first ever Vermont State Parks Campfire Cook-off video competition. The contest challenges entrants to submit videos of themselves and/or their team preparing their favorite camping recipes. Finalists will be selected by park staff and the winners will be chosen by online voting. Videos and recipes will be shared online at vtstateparks.com. First, second and third prizes will be awarded and winners will receive free camping, firewood, Vermont products and bragging rights. Guest Blog: Babe in the Woods...and Loving it! For many new parents, the idea of going into the woods and away from the comforts of home is riddled with a lot of “what if” scenarios. I know, I’ve been there, and unfortunately, a lot of parents think that putting off camping until their baby is older is the only option. Sure, ordinary tasks like diaper changing, providing sun protection and feeding seem more complicated. Then there’s water supply, bug protection and making sure you’ve got plenty of phone battery for picture snapping all those first moments. But, truth be told…it’s really not that complicated. And so… with our 12 week old and a trip to Vermont on the horizon, I broached the idea of going camping with my husband. In our pre-baby lives, camping was a normal, easy and beloved activity. His concerns read like a well-intended Mom blog, with packing woes, diaper disposal, and sleep arrangements on the top of the list.